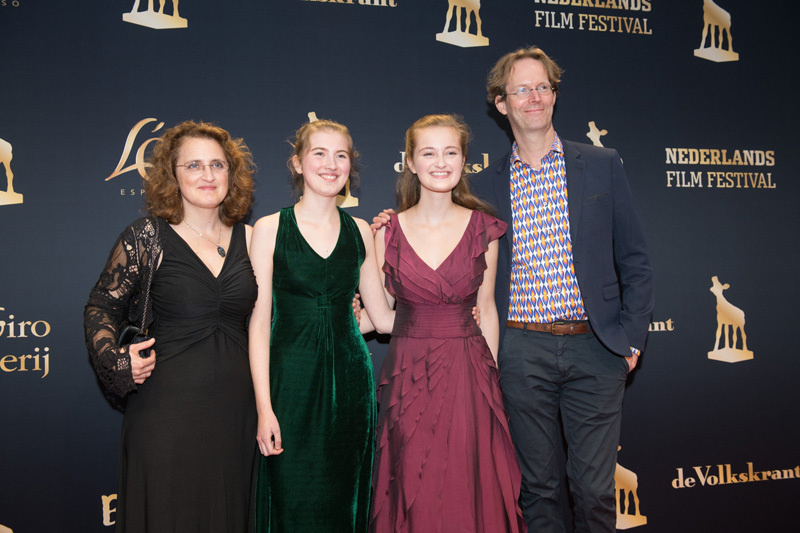 The premiere of the documentary A Family Quartet took place on Friday September 22nd in Utrecht during the 37th edition of the Nederlands Film Festival. In a packed Stadsschouwburg Utrecht, Noa and her family were joined by director Simonka de Jong and the team behind A Family Quartet. 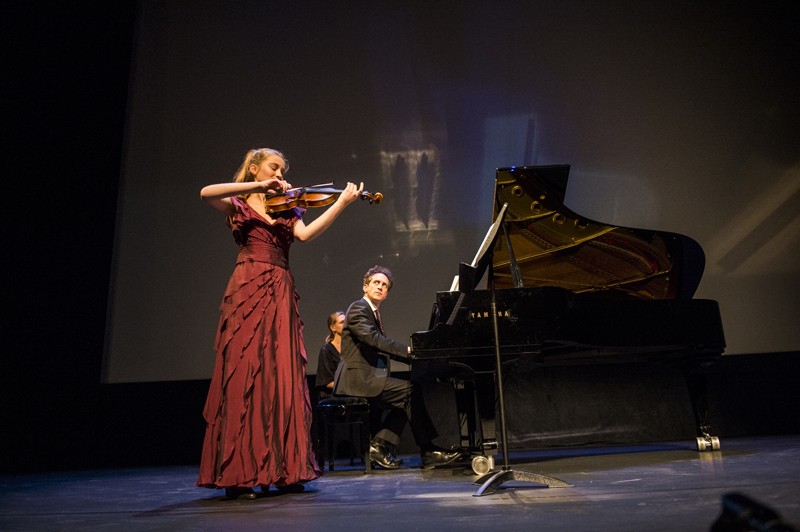 The premiere of A Family Quartet was coupled with the release of Noa’s debut album, Mozart. 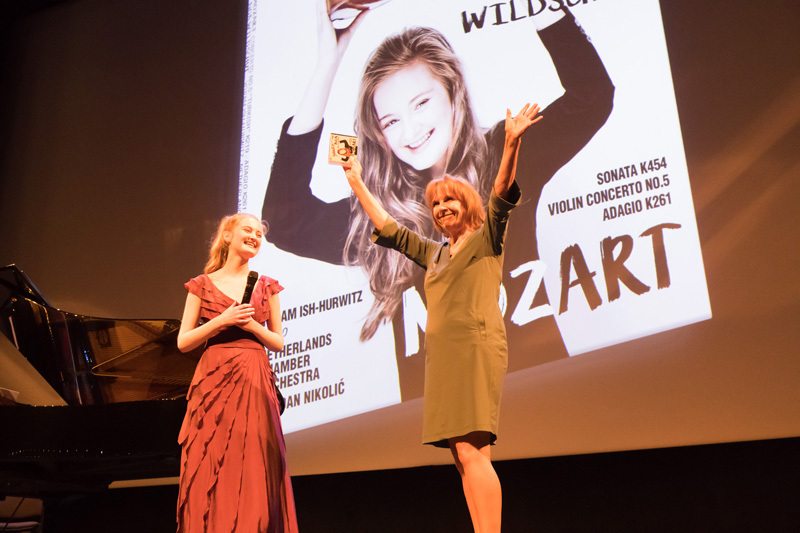 She presented the first copy to her violin teacher, Vera Beths. 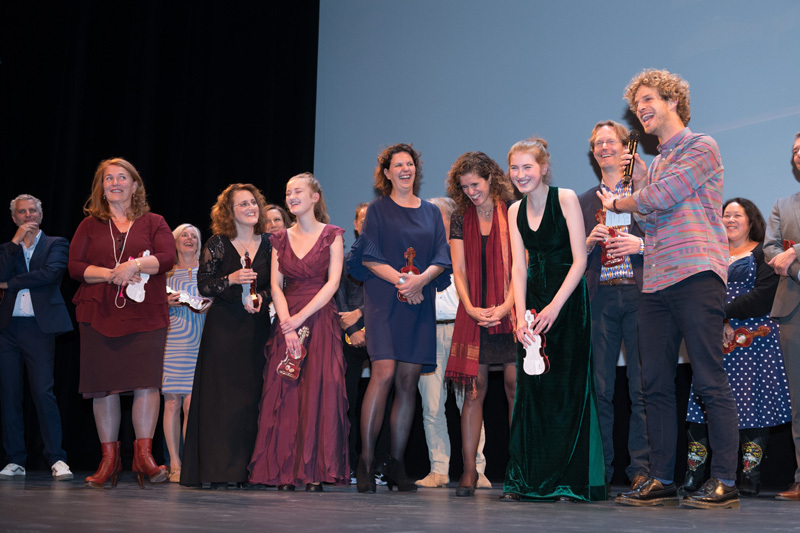 At the closing of this very special evening, it was announced that Noa had been awarded Het Kersjes Fonds violin scholarship. 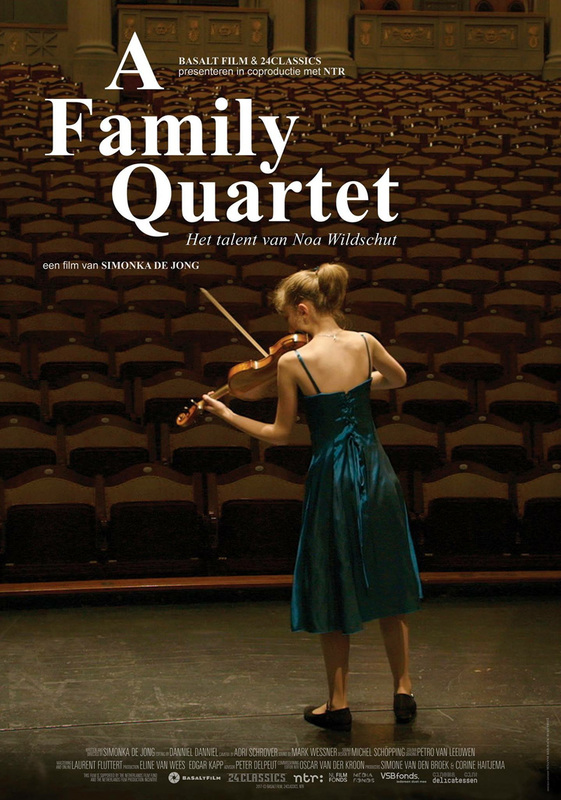 Directed by Simonka de Jong, the documentary A Family Quartet is “an intimate portrait of a family that tries to function normally under special circumstances” (de Volkskrant). 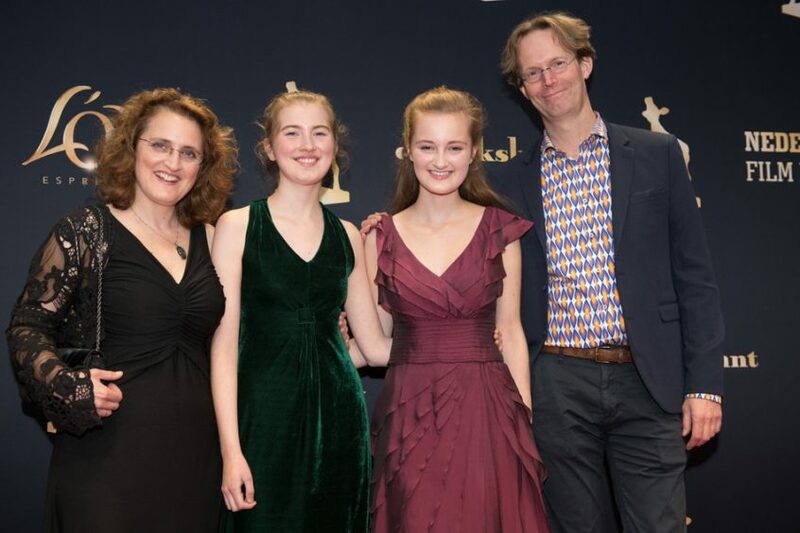 De Jong followed Noa and her family for three years, leading up to Noa’s debut album with Warner Classics and her international breakthrough. 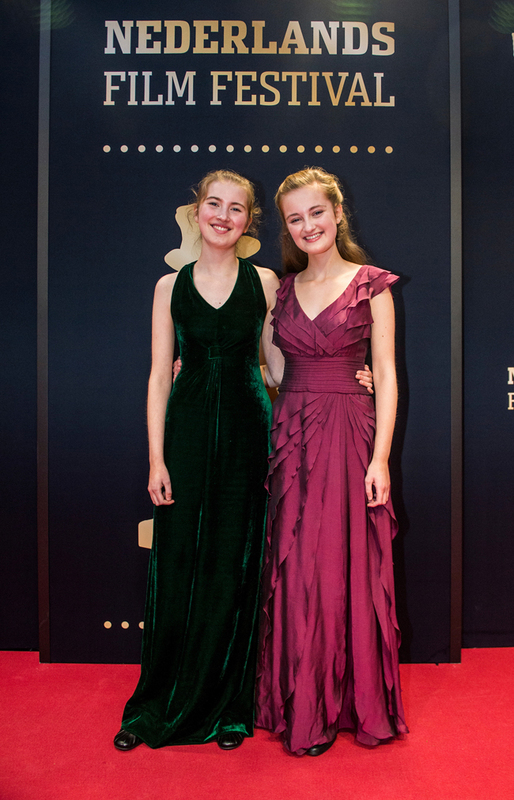 From an early age, Noa and her sister Avigal shared a love for music. They were stimulated by their parents, both musicians, to always get the best out of themselves. A Family Quartet follows family life at home as Noa’s career begins to take flight. In intimate observations we experience the emotional links between family members, and how love, expectations and ambition all come together.